Do you need to complete some concrete construction around your home or property in the Denver Metro area? Maybe you’d like to replace an aging concrete driveway? Maybe you’d like to tar-out and replace a cracked and broken shop or garage concrete floor? Maybe you’d like to build a brand new, outdoor living area, pool deck, or patio in your backyard with decorative stamped concrete? Whatever you need built with concrete we’re glad you’ve found our website! 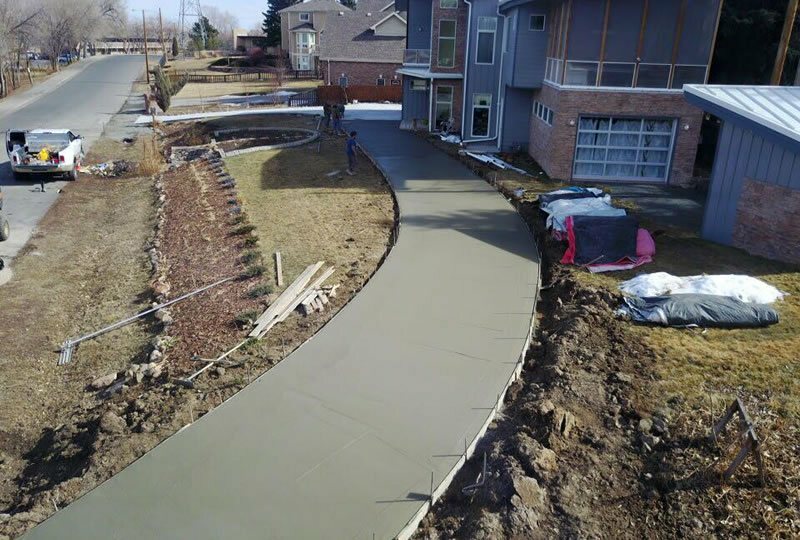 Quality Contracting LLC is a full service custom concrete construction contractor based out of Aurora, Colorado and serving the entire Denver Metro area. We specialize in all types of concrete construction including stamped and colored concrete for both residential and commercial construction projects. With four of our own concrete mixing trucks, we’re able to offer tight scheduling of projects as we’re not at the mercy of the concrete delivery companies, we can organize and supply our own deliveries right to your job-site. This is an important benefit to working with our company. If you need custom concrete construction within the Denver Metro give us a call 720-271-1565 and let’s setup your consultation.